Hello. I have gotten class A in September. I worked on a packer for 2 weeks but then lost the job because I wasn't part of the union. I have been looking for work but most will have me go out for a week or two. I contacted one company but they wanted hazmat. So I did it. While I am waiting. I have been looking around. I would like to know if there are companies that you generally know of who hire newbies and would let you come home every night or day? Would take a class B job if there is such a thing. Also is it worth it to get the M ( metal coil ) or W ( tow ) endorsement? Reside in NYC if that means anything. But am willing to relocate. I know I have not posted in a month. I have more questions. I have started a school. I have don't about 7 hours in total. Sighed up for 40. Got the medical card. Is it normal if they start you in then straight truck before you go to the semi? Also how many hours do people normally have to do before getting into the big rig? Another thing. 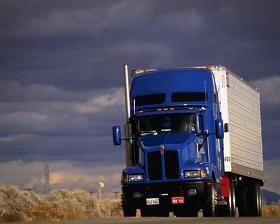 Can I drive trucks with automatic transmission after I get the cdl even though I am training on stick? Also will I be paid less for that? I have started checking the schools against the better business Bureau. I think yelp has better quality of reviews even though it's small. And Google reviews can be bought. This is " format " I use when I call schools. I have read the articles including the one by " Tanya bons ". I ask if they are certified. When they tell me they are. Can I trust that or can check that out with the DOT? I ask about price & payment - they say they either want the cost to be paid upfront or have something like 3 thousand down and the rest within the coming weeks. It usually costs between $4,000 and $5,500. I ask about the 160 hour certificate. They tell me it's actually called the " entry level certificate ". Driving time - they usually tell me I will get 40 to 50 of this. Observation time - they have no idea what this is. They tell me I will not be watching other drivers. Instead there will be a 10 hour video about trucking. When I ask about companies that hire out of the school. They either tell me I have no right to know or it's personal information and they can't release that. When I ask what the rest of the 110 hours is, the rep either doesn't know or they say is classroom stuff. Am I going about this the right way? Alright. Thank you for the information. Something else - I am calling / finding info about private schools around me. Is there a website where I can check if they are certified or not? Yes that's what I meant old school. As for the pay. After attaining the cdl I want to get the Hazmat endorsement. How long do I need to be driving before an. Employer thinks about hiring me to haul something gasoline. A friend of mine said that pays well. Even if it's local. And in case you didn't get the hint, let me be clear, no tolerance for use of the word enslavement. Thank you for being straightforward. I'm not being sarcastic. I am not one those people who reads body language well. OK I have looked through a few of your documents. Most recently about the schools. One of the mentioned the minimum amount of hours you get is 32. Does that mean someone shelled out 4k and recieved under 160 hours? What I am understanding is you get 160 hours to have people hire you or the school has companies hiring from it. Is the 160 something you are guaranteed to get? So wait. Do you spend 160 hours in the school? Is it them counting the driving time, observation time and all that as one? I am looking for schools now. I have made some calls. I understand I will have to drive like 2 hours to one. I have just wrote too many questions. I hope it could be made sense of. For the 160 hours permit. Bad choice of words. My fault. I understand it's a certification. Permit / certification just meant / means the same thing in my mind. As for the enslavement. Approximately how much do they pay. You don't have to give me your exact number. I mean if it's under $20 per hour. I'm fine throwing out 5k for training. I mean, this is what I have in my head. I get a job where I can drive to NYC and reside either upstate or Jersey ( some state next door ). I don't even mind an area with the occasional serial killer. Because under $20 per hour doesn't sustain you well in the this cesspit. I will take a look at the career guide after this post. Thank you. I have taken and passed the general knowledge and the air brakes at the dmv. They asked me if I wanted to get processed or not. I said no and left. I assume I can just take the combination vehicle portion now. I am studying that section of the manual now and will take the test tomorrow. I have used the android app ( CDL practice test ). I was not aware of the 160 hours permit. But to tell you the truth I have no interest in enslavement of a contract. Are all the schools generally the same amount of cash? And the ones which are listed on this site are those counted as the better ones? Hello. This may be a answered somewhere and thus a waste of time. I recently spoke to several drivers, most of which come from PA. I have asked them about whether to take lessons or go to a school. Most of them told me they attained more knowledge at the schools in their home state rather then friends who hail from NYC. They told me the schools here ( NYC ) don't teach you about loading and such. Just how to pass the test / drive. From the ones I have spoken to in NYC. They mostly just tell me which to go to because they provide a cheat sheet. I want to know if it's better to take lessons or go to a school in terms of hiring probability. I mean will the employer think something like " oh he just took lessons and basically took a short cut ". Also I would like to thank Brett Aquila and the community for helping him pass the general knowledge and air brakes. Just need the combination vehicle test. One question about the test. I have taken the first two and had to leave the dmv due to an emergency. I don't have to retake the tests I passed right? I can just take the combination vehicle and they will merge into a learners permit? Sorry for the doable post. I forgot to ask. Do I need to get a ez pass for trucks? Or the companies give that to you or have their own in the truck? Because when I was in a uhaul the worker at one of the ez pass booths told me I can't use my normal ez pass and that it would be a fine if he was in a crappy mood. Thank you for the info. The emails I get from this website time to time are really helpful. For the cdl test. Do you get a different truck to drive. Like a truck / trailer for A and a bus for B? Also if I want to drive a dump truck. Do they teach you how to use it? I mean the basket part ( don't think it's actually called that ). Also the back part of the trailer. Does the metal platform raise itself or you have to manually lift it? Hello, how are you doing? I want to ask somethings about the cdl classes just to be clear as I have heard conflicting things when I walked up to the driver's side of trucks. Also I want to ask many questions and hope it's not too much and please forgive the mess. Also I currently reside in NYC. What will I be able to drive with a class B? I wanted to set out for this one initially as I was told it's the less expensive one. I spoke with a driver hauling sand in a straight truck and he told me with a class B I would be doing what he is doing. Also I don't want to sleep in the truck. One of the driver's was very nice, showed me how to do an inspection of an truck and trailer ( he had a bed inside ). I want something like regular hours. However he told me with a class B, you can only drive a cab, limo. Also for the NYC ( don't know if it's the same thing as NYS) CDL permit - what sections do I need to study for the NYC written test? ( one of the driver's told me inspection and airbrakes, particular sections and not the entire manual ). Please excuse the mess and thank you for your time.